Why were the Egyptians punished with a plague of frogs? 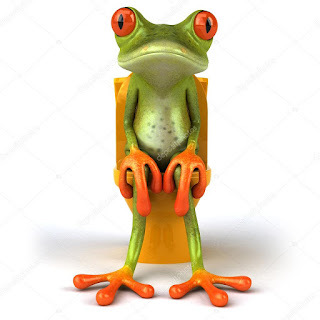 Someone sent me an insight that they heard from a contemporary rabbi: "Because Pharaoh portrayed himself like a god by not relieving himself, G-d specifically brought frogs as the second plague, since frogs are creatures that eat and do not void their waste." Pharaoh falsely claimed to be a God who does not excrete, so he was punished with lowly creatures that really do posses this ability. When it comes to divrei Torah involving animals, the drash often relates to an (alleged) fact about the animal. For example, I like to give a drash about the gevurah of the lion being its ability to overcome its aggressive nature and to live in groups with other lions, as per the Mishnah's statement that "Who is mighty? The one that overcomes his inclination." Now, lions actually aren't always the nicest of creatures to their kin; sometimes, males will kill and eat cubs, when trying to take over a pride. Still, it is a fact that lions are able to control their intra-species aggression much more than other big cats, and they are the only ones to live in social groups. So, this is a drash that is grounded in fact. Then there's drash that is not grounded in fact. Sometimes, this is understandable, such as when there is popular or long-standing myth, or when the person is repeating something that he heard from others. Still, if it's something that sounds unlikely, then educators have a responsibility to verify its factuality. On occasion, one wonders if the person giving the drash has just invented something out of thin air in order to justify the drash. There is something extraordinary, however, about the excretory abilities of certain species of frog. 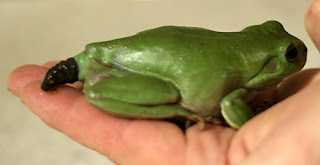 It has been discovered that some Australian tree-frogs, when they have a foreign object impaled or implanted into their body cavities, are able to transfer the foreign object into their bladder and excrete it. Feel free to incorporate this fact into a creative drash about the plague of frogs! I’m pretty sure that there are some species of mites that don’t excrete. And of course, as you well know, there are lots of opinion holdings the Tzfardeah to actually be a crocodile, not a frog. What about the alleged creature that went into the head of Titus the evil, the Talmud states that it doesn't excrete? According to De Rossi the creature is a המצאה. According to Maharal it's either מעשה נסים or only a מהות יתוש and not an actual יתוש. So there is no such creature in nature. I read an interesting article (in an NCSY journal, so it was not by a well-published scholar, and I do not remember the source for this or if it was the author's own idea, BUT) which suggested that Titus developed a particular kind of brain tumor called a teratoma. Teratomas are germ cell tumors and thus can become any kind of tissue. Therefore, there indeed may have been a weird clump of "stuff" in Titus' brain that included bone, hair, epidermis, and even featherlike material. The retrospective understanding that this was a gnat that grew into a creature resembling a small bird grew out of this. Of course, that would involve the writers of the midrash knowing about Titus' autopsy results. At what point does a rationalist explanation require too many less-than-completely-rational suppositions? Just to be pedantic here. The image of the frog you show is evidence of defecation rather than excretion. Excretion is performed through the kidneys, which removes waste from the blood. While some level of waste elimination does occur through the gastrointestinal tract, most of the content in the GI tract was never actually in the body, thus cannot be said to have been eliminated. But that is besides the point. Anyone who has done a high school biology frog/toad dissection will have identified BOTH the kidneys/bladder AND the intestinal tract, clear evidence of elimination systems. I wonder whether the question you are being asked about snakes reflects a concern that snakes might not urinate, rather than a question about defecation? This is actually an interesting and insightful question. Although snakes definitely have kidneys, do they have bladders? Or for that matter, since they have a cloaca and not a urogentalia, it seems that some people might imagine a lack of external apparatus as being equal to a lack of urine production. Still, a simple dissection will answer the questions (kidneys=urine production). I can personally attest to the fact that frogs excrete because I once picked up a frog and it peed on my hand. 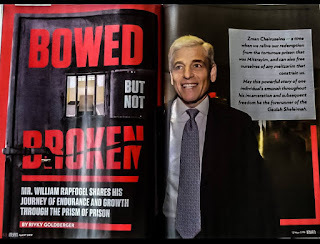 Was it really worth your time to write a post just to show how an unnamed rabbi said a bad drush due to ignorance of natural fact? I'm not sure abuot the medrash the vort is based on, either. I don't think the pharaohs ever claimed to be gods. They were the sons of Ra on Earth, but not themselves divine. Remember also that Greek gods came in families; Hirohito was a god together with all his progenitors because they supposedly descended from the son. Apparently not. How impious of me. We know quite a bit about ancient Egypt, polemics in Nach notwithstanding. The Egyptians were not Greeks or Japanese, and the Pharaohs were not gods. I mean, "because they supposedly descended from the SUN". And where there is a clear tradition what Nach means, it has ABSOLUTE AUTHORITY also in history. Feel free to incorporate this fact into a creative drash about the plague of frogs! Yes sir: Shouldn't Pharaoh have absorbed at least something of the miraculous messages bombarding him? Shouldn't at least one message have lodged somewhere in his heart and stayed there and eventually get him to do what had to be done? No. It went in one ear and out the other. For such an attitude he deserved frogs because in their Australian version they have many things which they refuse to internalize.